Sahyma is second-generation Bangladeshi and the oldest of four children. She grew up in a South London estate. Her parents always motivated her to do well at school and work hard to where she wanted to be. 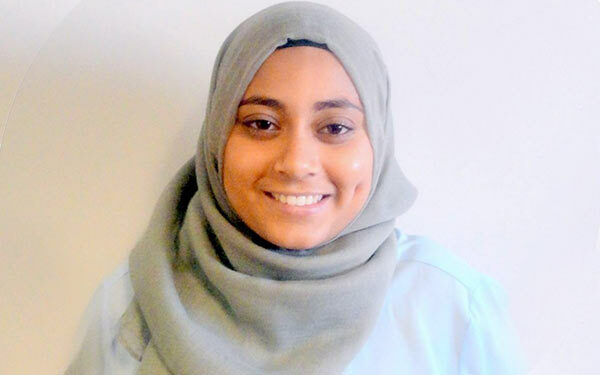 Whilst most girls at her school finished their GCSEs and continued their life, many of them having children, Sahyma decided she wanted more for herself. Instead, she attended a summer school where she learned the importance of taking opportunities and not following her friends. Knowing she needed to be a positive role model to her siblings, she chose to go to university, studying for a degree in a subject she really liked, and was awarded the prestigious Southwark Scholar Scholarship, through which she came to Making The Leap. Through Making The Leap’s programme, Sahyma learned a variety of soft skills to support her on her journey to find the career she wanted. An internship at an HR team was also arranged for her. Sahyma has now secured a permanent role as a Business Development Assistant in a major infrastructure company, where she has great opportunities for career development. ‘I’m really grateful and thankful to MTL to be in the programme. The staff here really care about you, want you to succeed and are not afraid to have a word with you if you are not performing. Being professional becomes second nature here. You get lots of practice and MTL mould you. You definitely have to persevere, develop resilience, participate and you’ll learn so much. You should be at MTL to take advantage of the opportunity given.